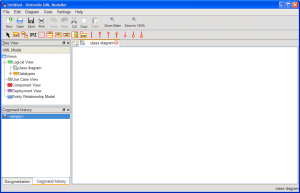 Some of you might already know that some KDE Applications have been supported on Windows and MacOS after version 4.0. I wanted to install Umbrello on my Windows XP Machine and I consulted the documentation to learn more about the installation process. KDE is nice enough to provide an installer for Windows but it’s terribly slow since all the packages are downloaded using a single thread which will take you at least 3 times longer than if you had download the individual packages manually with a download manager application. I tried searching for help online, but there isn’t any useful information on how to go about doing this, so I’ve decided to write one. Anyway, I decided to download all the packages manually and use the installer to unpack them into a single directory. Unfortunately, the KDE Website doesn’t mention which packages Umbrello needs so I had to use the installer and its log dumps to figure out which URLs it was drawing the packages from. 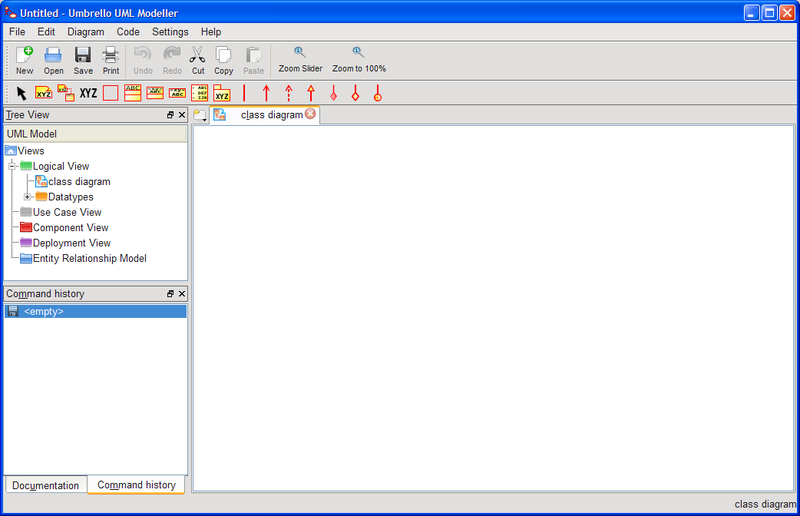 To use umbrello on Windows, you can either download the KDE libraries and source code and compile it yourself using Visual C++ 2005 or MinGW, or you can download the precompiled binaries and libraries and use them directly. To be honest, there’s no point in compiling KDE yourself since the source code files are as large as the precompiled binaries so you’re better off downloading the binaries. After that choose the directory where you placed all your packages in the temporary directory selection screen and choose the kdesdk Package for download. 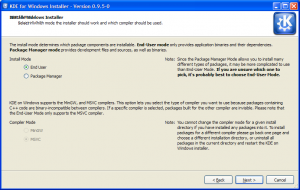 Click past the package dependencies page to install KDE. 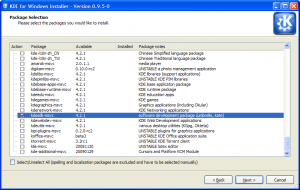 If you downloaded all the 35 packages correctly (1 package = binary + binary.md5 + libraryArchive + libraryArchive.md5) then the installer will skip directly to installation and it will install KDE on your computer. If not, it will download the missing packages and install it once it is complete. That was the gist of what you need to do to be able to run Umbrello on Windows. Now for step-by-step instructions. Choose any of the websites given above although you should preferably choose a website which is closer to your location for faster download speeds. Most of these websites allow directory listings, so you should be able to see a list of directories on the website. The total file size should be about 154MB. 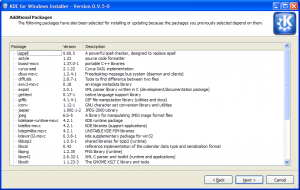 Note: You will also need to download the Visual C++ 2005 SP1 Redistribution Package if you don’t already have it. 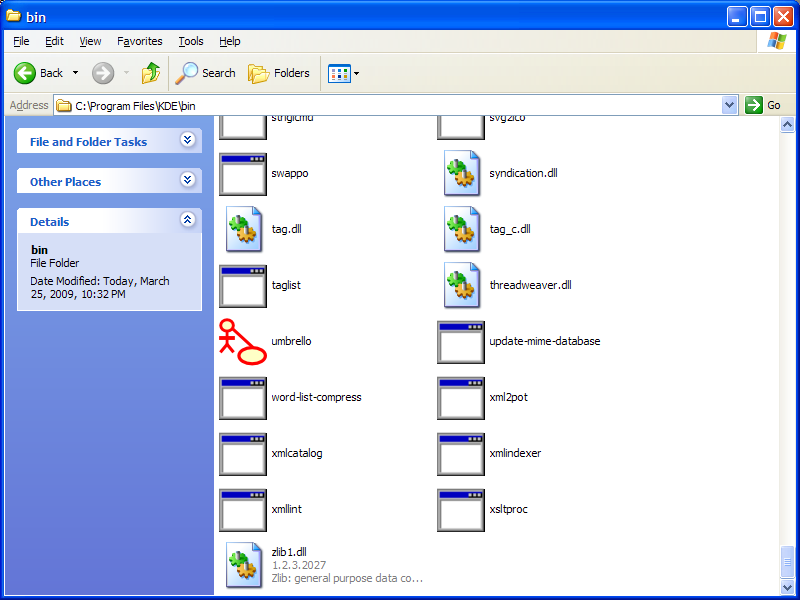 3) Place all these files in a single directory. 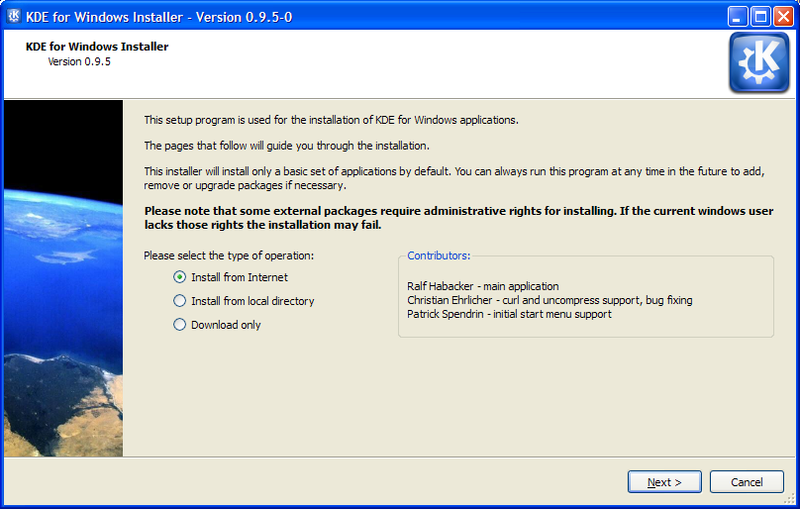 Now start the Installer and choose Install From Internet. 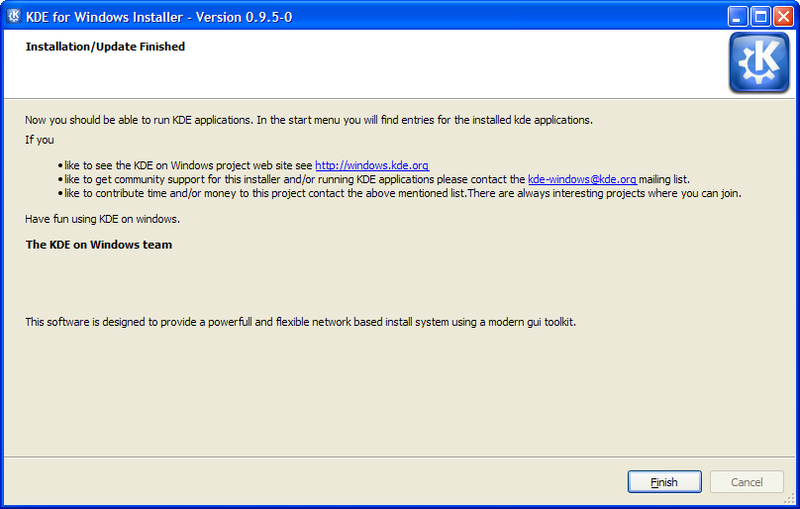 4) Click Next and choose the End User Install Mode. 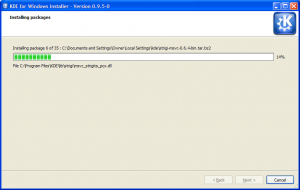 5) In the next screen you will need to enter a Download Path. 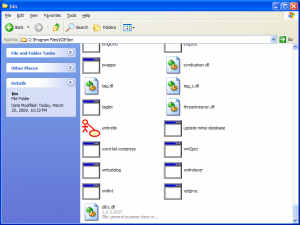 Choose the directory where you stored all the downloaded packages and click Next. 6) The next screen displays all the KDE releases which are available for download. 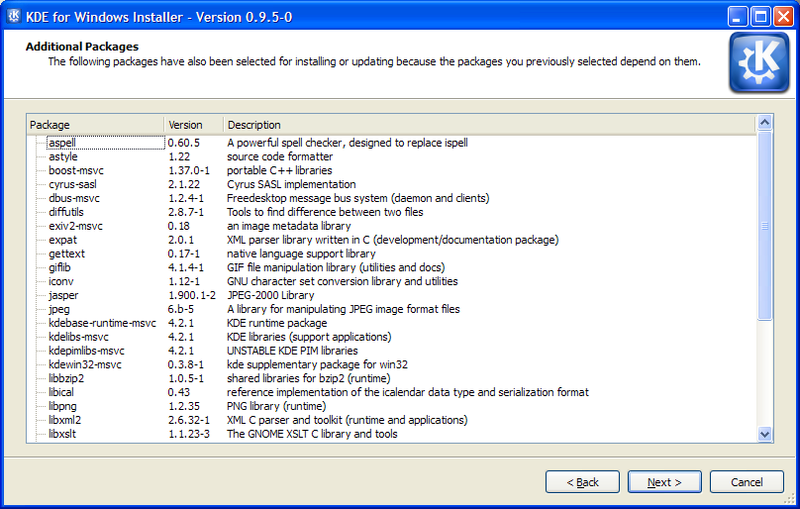 As of writing, the latest KDE version is 4.2.1 stable but choose a newer version if it is available. 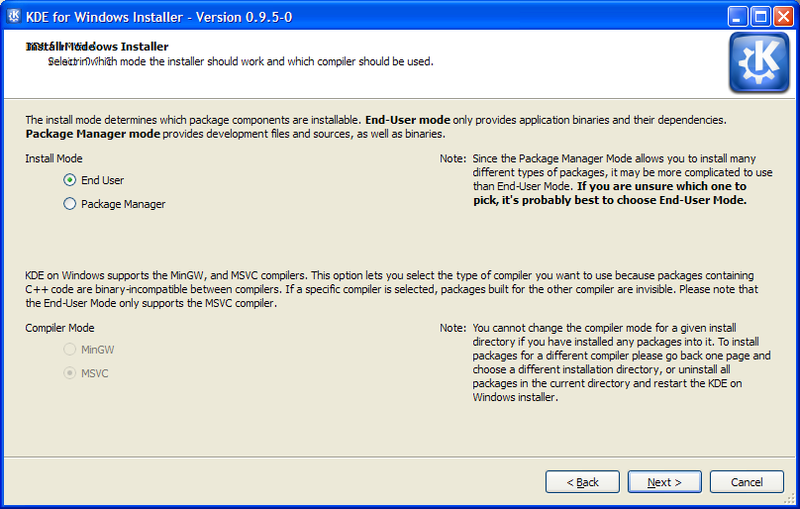 If a newer version is available, ensure that you are downloading the correct packages. 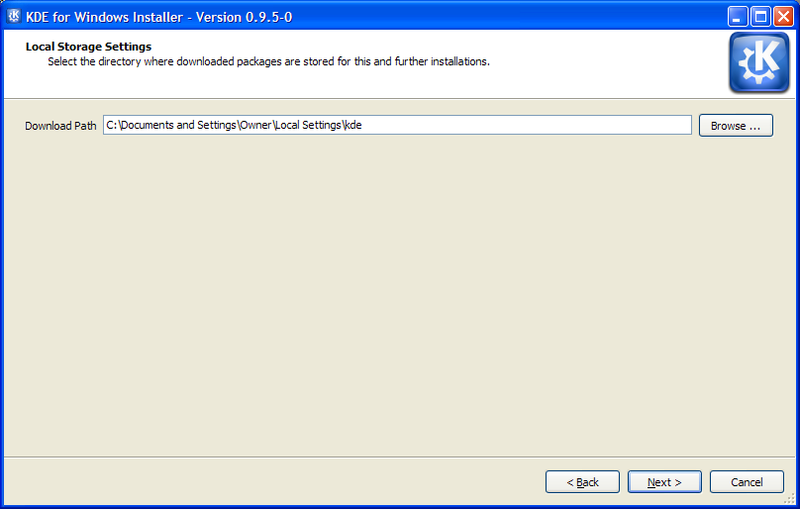 7) In the next screen you will need to select KDE packages which you wish to install. Since we only want Umbrello, check the kdesdk-msvc Package but you can add any other package that catches your fancy but keep in mind that the extra packages that you’ve selected might need other packages as well. To be honest, you don’t need to worry so much. 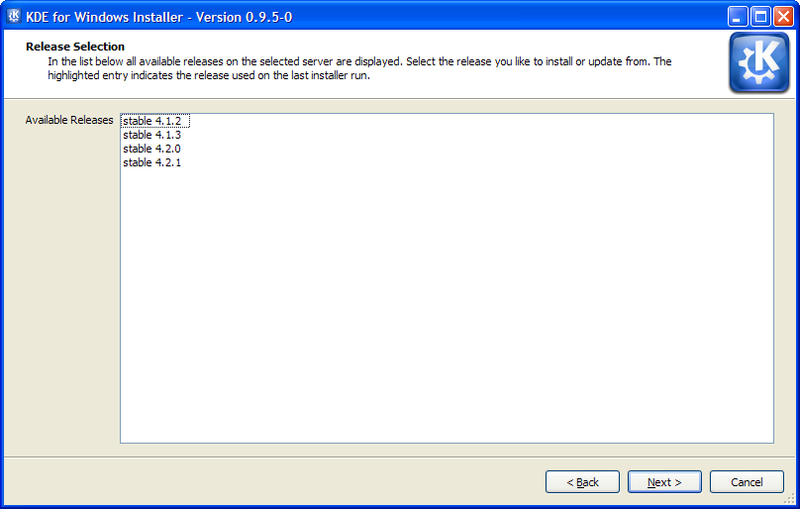 The installer will automatically download the required packages, although it will take a lot longer than if you do it manually. Click Next. If not, there’s no need to worry. 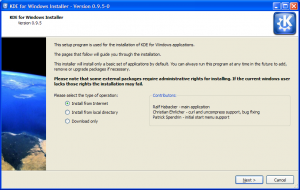 The installer will download the other packages for you and then start the installation process. 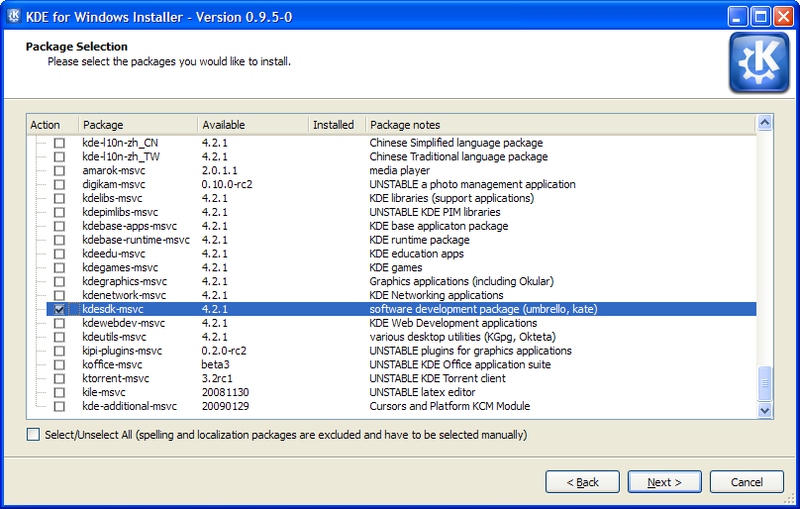 Now all you have to do is navigate to KDE 2.4.1 Release -> Development from the Start Menu and click on Umbrello. Alternatively, double-click on the Umbrello icon in the <KDE_Install_Directory>bin folder. Note: Umbrello on Windows has many bugs and crashes when you right click and select the export to image option. If you use the Main Menu, you can export the diagrams as images and it wont crash. It might also crash while closing Umbrello. KDE for Windows is still a work in progress and they’ll fix these bugs in future versions so keep checking for newer, stable releases. Have you had any issues trying to save your project in Umbrello under Windows? I am having issues with version 2.2.2 under KDE 4.2.2, as are other folks (open issue in Bugzilla KDE database). It may be a matter of a missing library file. 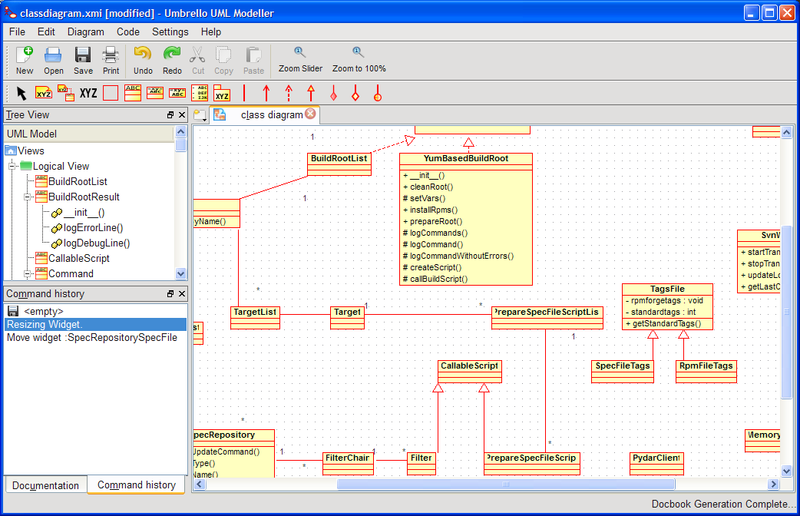 For folks out there who have not yet tried Umbrello, it is a fantastic tool (under Linux and Mac OSX). No problems so far. But Umbrello does crash everytime when I attempt to close the application. Hey. Thanx. Worked 4 me just fine.